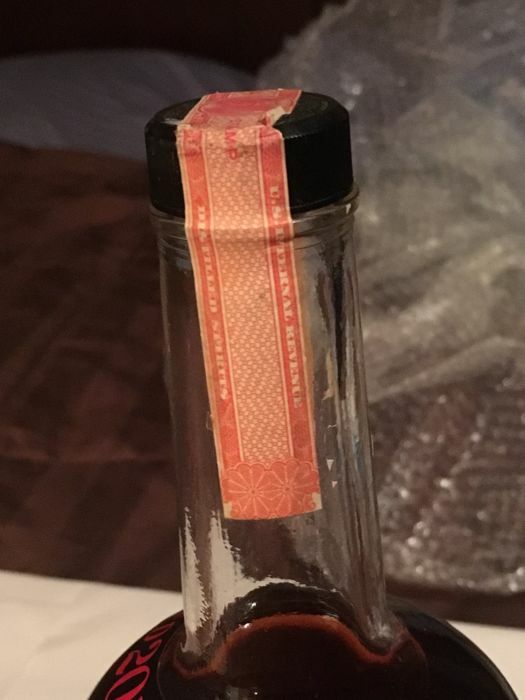 Half of the rear label is missing, and there appears to be some kind of light stain on the front. Never opened with original Federal Tax seal Series 11 still in tact and covering the opening. 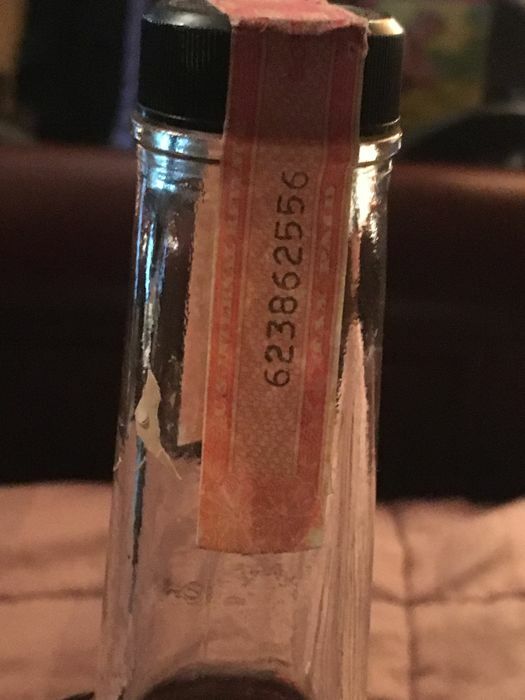 Bottle has markings on the bottom indicating that it was made in 1975. 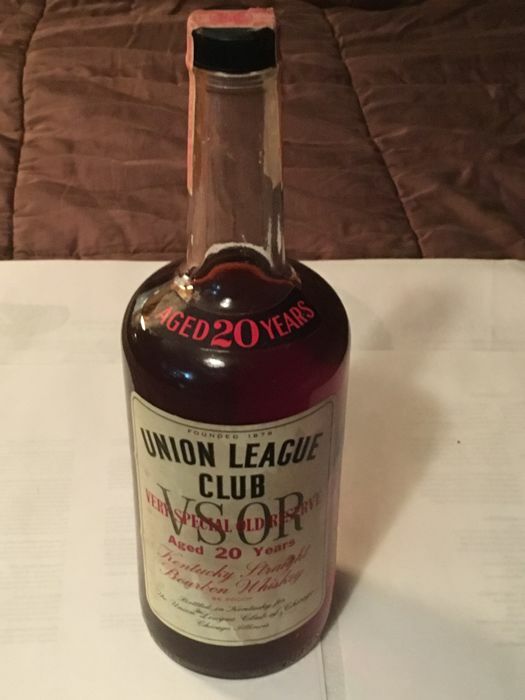 However, the liquid within had aged for 20 years prior to bottling, so it was most likely distilled in the 1950s. 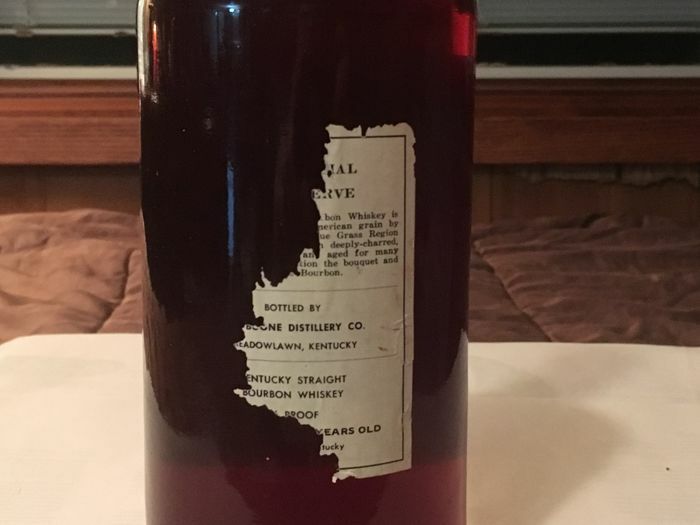 After considerable research, I discovered that this particular batch was distilled in Kentucky at the Old Boone Distillery. 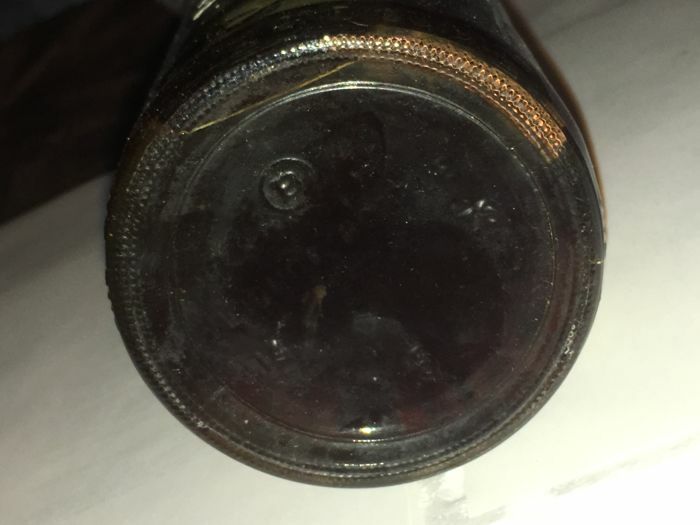 The distillery is no longer in service and actually burned to the ground in the early 1970s, though there were other catastrophic events prior to that. 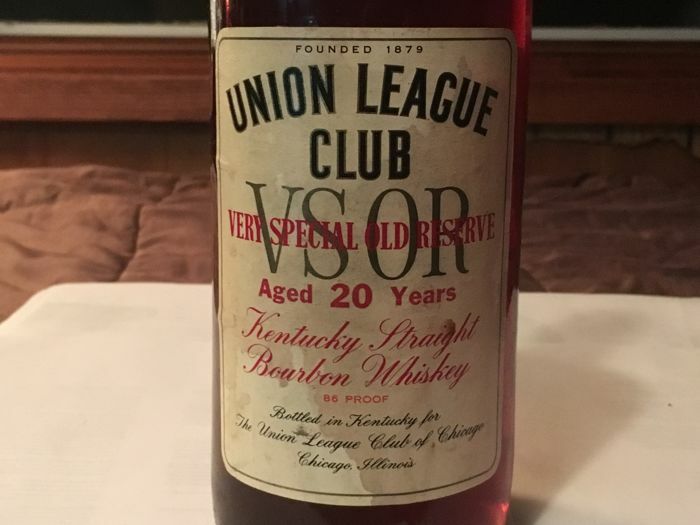 As the label states, this was made specifically for the Union League Club of Chicago, which is a fraternal organization that was formed during the Civil War. 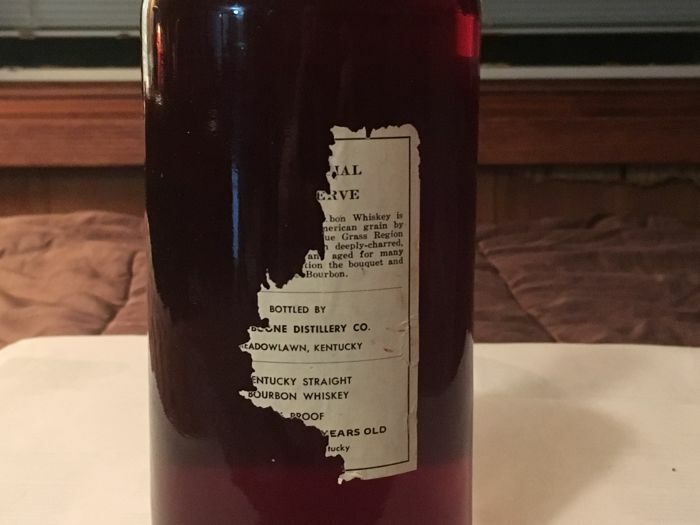 As the bottle indicates, this particular batch was rare when is was made. 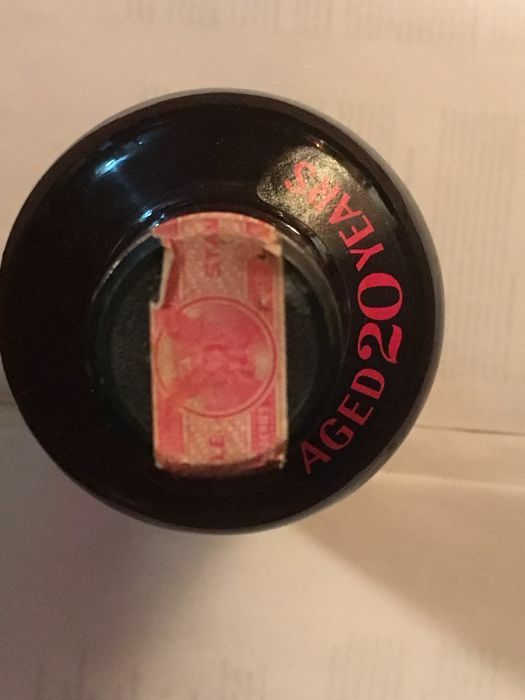 With its ageing, provenance, and the fact that it took me almost 4 years to find out anything about it at all, it is quite likely to be one of the only one(s) still in existence. 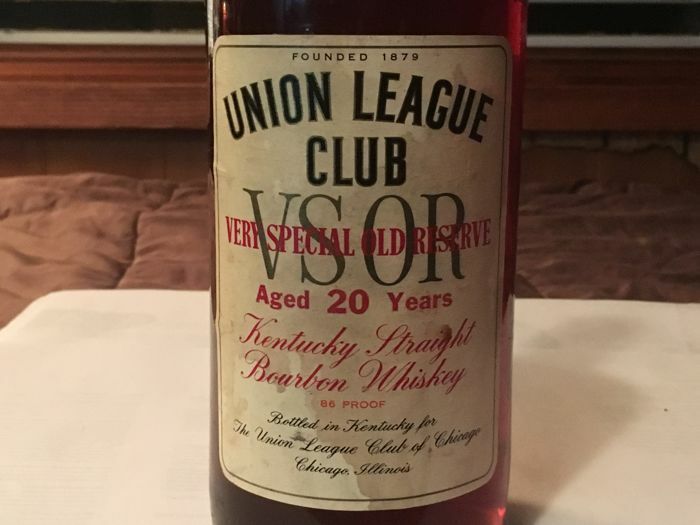 Whiskey does not get rarer than this. Du kan hämta det här objektet hos säljaren: Arlington Heights (IL), USA.